The global trade show bringing you to the heart of the horticulture sector, GreenTech, starts on 12th June to the 14th June 2018 at RAI in Amsterdam: Plater Bio showcase innovative products. Plater Bio will be exhibiting at the forthcoming international trade show, bringing you to the heart of the horticulture sector. starting on 12th June to the 14th June 2018 at RAI in Amsterdam. 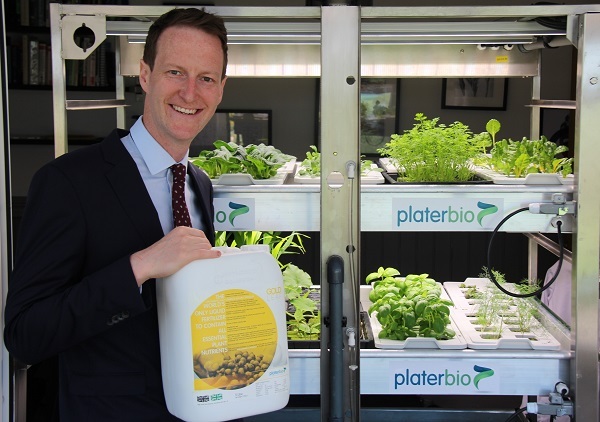 Plater Bio are launching “Gold Leaf” the world’s first truly complete fertilizer, which contains every essential plant nutrient. Visit us on stand 111, Hall 10 to discover our innovative biostimulant and micronutrient developments.